Cutting PET materials on a high speed production line can be notoriously troublesome as one market leading food processing company found out when operating OEM supplied STS cutters. PET or ‘Polyethylene terephthalate’ to give it its full name is a thermoplastic widely used in the packaging of foodstuffs. It is easily formed, lightweight, non-toxic and recyclable, and it is extremely strong. Advancements in PET technology have allowed manufacturers to create incredibly thin packaging materials and whilst this helps to reduce weight and overall material consumption it can make the materials more difficult to cut. Stellar Technik provides the solution. 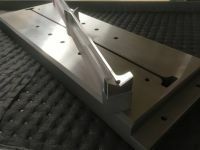 Jamie Best is the Technical Sales Manager at Stellar Technik and was approached by a large food processing company who were frustrated at the performance of the OEM cutter they were using. “The company were experiencing real problems with production” Jamie explains “…poor cutting quality and performance from the OEM-supplied STS cutters together with reduced tool life meant that frequent servicing and re-grinding was required”. “The downtime was proving to be very costly so they needed a quick and efficient solution. We needed to produce a new concept within a very short time frame”. 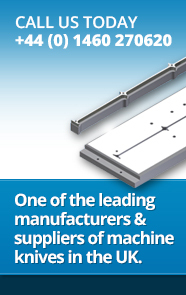 Stellar Technik can react quickly to customer demands and enquiries. Stellar Technik exceeded the expectations of the customer. Jamie summarises the outcome of the project by saying “This project in particular has allowed Stellar Technik to gain valuable knowledge in respect to the cutting demands of PET material and consequently we are uniquely equipped to provide high-end technical solutions in response to these demands”. Stellar Technik manufactures cutting and vacuum forming products to suit all major OEM brand machines for industries such as Food, Pharmaceutical and consumer packaging with many products available off-the-shelf. With satisfied customers all over the world Stellar Technik is confident that its products perform as well if not better than the OEM, and they are also far more cost effective and readily available. Copyright © 1995-2019 Stellar Technik.